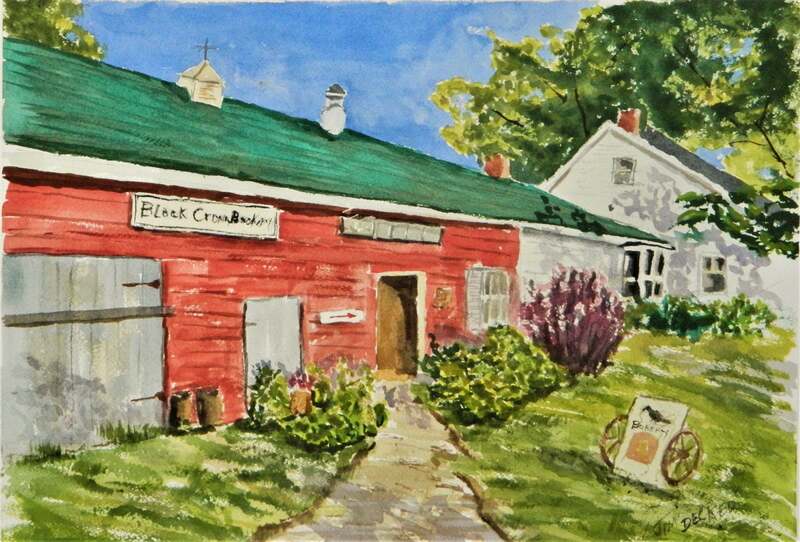 DISCRIPPION : Living in a small rural town here in Maine , this painting is a great example of what I love about the simple country life. The owners bake their goods in a wood fired oven at night . To make a purchase , serve yourself leave the money in a basket and make your own change.